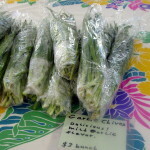 Whatever is involved in your Spring fling from soup to nuts you can get it at the Saturday market. It’s a bloomin’ market with flowers galore. 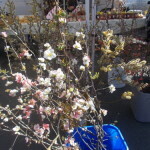 Spring bouquets from Ridgeview Farm, lilac branches from Middleton, acres of orchids from X-oitcals, and beautiful pots of spring flowers from Daffodils, Dahlias, Lilies Oh My! 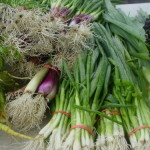 Vegetables are well into spring with a few late winter crops still around. 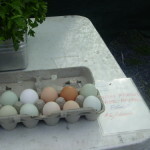 There are plenty of eggs at the market. Many so beautiful you don’t have to dye them. Parsons Home Grown is back with mostly cherry tomatoes and yellow beefstakes. Daffodils, Dahlias, Lilies’ Oh My! 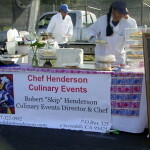 Guerilla Foods and Chef Skip Henderson are back! 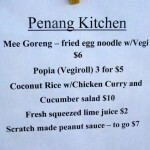 Guerilla Foods and Chef Skip Henderson are back. Guerilla Foods took some time out to go traveling. 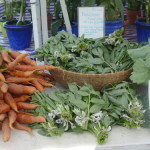 But they are back with their delicious and all locally sourced dishes. Lemon Ice Box Pie — don’t have to say much more about Chef Skip Henderson. 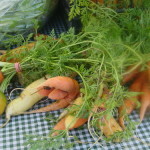 Thanks to the wonderful Wednesday marketeers — you can choose from a great selection of Sonoma grown produce plus pork, beef, lamb goat from The Dreamcatcher Ranch (ask about their breakfast box.) Willow Design has some beautiful new necklaces — perfect for sprucing up for Spring. 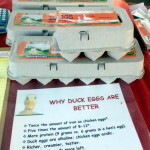 Plenty of eggs if you are stocking up for Easter. Cesar Millan, the dog whisperer is talking at Luther Burbank Center for the Arts on March 29th. Ticket information here. You’ve seen him on “Leno,” “Oprah,” and as the original host of National Geographic’s “Dog Whisperer” series… the world’s most renowned dog behavior specialist Cesar Millan shares his remarkable training techniques live on stage! 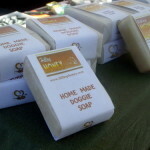 Everyone at the market loves dogs, they just are not allowed at the market except for service dogs. 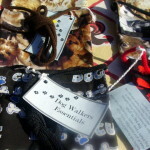 But quite a few of our vendors have a great products for dogs. 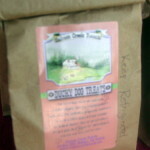 Owen Family Farm has raw dog food. 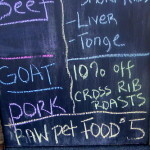 MicheleAnna Jordan talks about why a raw food diet] is good for your pet and mentions Owen Family Farm. 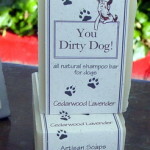 The Garden Wild and Hilltop Honey both have something for your dirty dog. 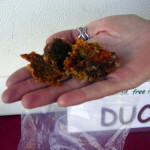 Salmon Creek Ranch has doggy treats made from duck and from goat. 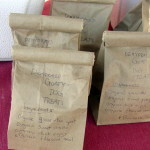 California Coops has the most beautiful doggy treat bags. You might consider carrying your own treats. 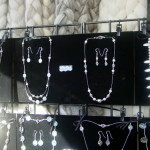 They are handcrafted right here in Sonoma County. 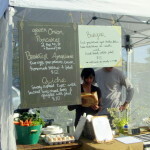 Guerilla Foods is back, all their ingredients are locally sourced. Last year their quiche was a big hit along with the breakfast burrito. X-oticals has the most beautiful orchids. A lovely gift this time of year and one that will last a long time. They are happy to help you with how to care for your orchid. The Dixie Giants are back. When they played in February, they lit up the market. Daffodils, Dahlias, Lillies Oh My! Dress your salads in the very best! Bruno’s Red Wine Vinegar. 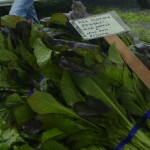 Spring is the season of tender greens. What goes into your salad bowl is only limited by your imagination. A great dressing can be as simple as oil and vinegar. Bruno’s Red Wine Vinegar is a great ingredient. Bruno is at the market the 1st and 3rd Saturdays. 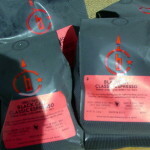 Be sure and ask about the week’s market special. 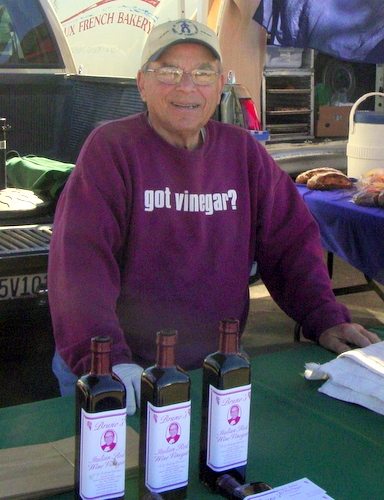 Today, Bruno makes his Italian Red Wine Vinegar in his home town of San Rafael, California. It is made from selected red wines and aged over 12 months until it reaches just the right acidity level. Then, bread and yeast are added so that the vinegar can ferment and age into the perfect lip “I’m very proud to be able to share my family’s home made vinegar and I’m sure my parents would be proud too. ” learn more. Wednesday March 20th Vendor List and what’s in at the market! 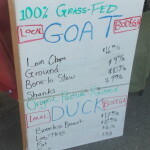 Salmon Creek has goat meat –give it a try! The amazing Wednesday market is the perfect pop-up market and food court. 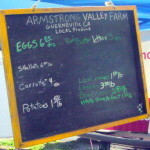 The very best of Sonoma grown from local farmers, ranchers, chefs and craftspeople. 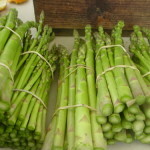 Hector has asparagus , Tom Noble Armstrong Valley Farm has carrots, Min-Hee Gardens has wonderful big bunches of garlic chives and everyone has lettuce some tiny baby lettuce and some big beautiful heads. The very best salads start here. 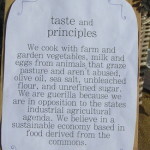 Bohemian Well Being Farm has the best selection of foraged and locally cultivated mushrooms. 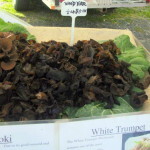 Mr. Kim is a wealth of information about using mushrooms both fresh and dried. Our Wednesday food court offers something for everyone. And they all have dishes that are perfect for later. 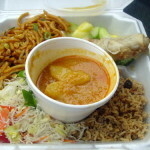 Eat with us in our beautiful location or take it to go. 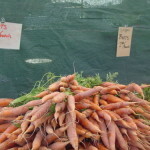 The market welcomed back Ridgeview Farm on Saturday. The beautiful displays of lettuces and seasonal bouquets are signs that spring is really here. This year the return is tinged with sadness because of the announcement Joel Kiff died earlier in the week. Joel Kiff was an integral part of the farmers markets community, including serving as this market’s president. Late last year The Healdsburg Tribune published an interview with Joel and Renee Kiff. As I drive onto the glorious 3.6 acres of Ridgeview Farm off of Alexander Valley Road, I feel gratitude for our local farmers who continue to use this beautiful land in a way that is relevant to all of us. Boisterous greetings by CJ, a former rodeo dog, and Oliver, a gigantic black Lab and recent arrival from Minnesota, welcome me. Joel hails from Ringling, Montana, where he was raised on a cattle ranch. While a student at Carroll College in Helena, he met Renee (who attended Seattle University) at a northwest Catholic College Conference. The two began a correspondence by mail, which culminated in a decision to marry. 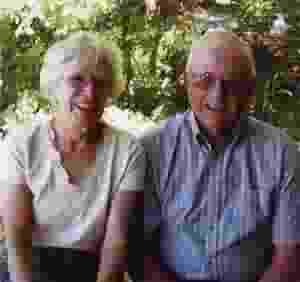 Renee, from Marin County, left college at the end of her junior year, and the two began married life in 1960 in Helena, Montana, where Joel began his career as a high school teacher and football and track coach. After two years, they moved to the Bay Area. Joel taught first at Riordan High in San Francisco and also got a degree in math. The couple then moved to Marin County where they lived for 17 years, raising their five children while Joel loved teaching and coaching at Marin Catholic High School. The big change came in 1978 when the older boys were in their teens. “Joel thought it was important for the boys to have chores like he did,” Renee tells me. “And after 18 years of teaching, he needed a change and Sarah wanted a horse. Renee walked into Healdsburg High with Joel Jr. and Martin, their two oldest. Dave was going into eighth, Sarah into sixth, and Tom was to begin kindergarten. The HHS registrar enrolled the two eldest in Rod Walstrum’s agriculture program. Renee now thanks the Ag program and her sons for teaching both her and Joel how to farm. Renee began volunteering at Healdsburg Elementary––ending up as a long-term teacher’s aide in Tom’s class. She then worked as a secretary for Gary Thomson, Work Experience and Career Center Coordinator at HHS. When the career center was made separate, Renee began running that, having a satisfying career and being responsible for college scholarships for 10 years. 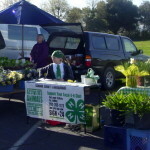 Joel and Renee were always vendors at the Farmers Market during the summers. 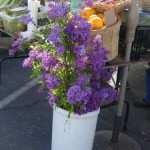 In 1990, when their youngest son, Tom, graduated from HHS, Renee was asked to be the Healdsburg Farmers Market manager. She took ag classes with Paul Vossen and Leonard Diggs at SRJC and began her column on farming for the Healdsburg Tribune. Over the years, Ridgeview Farm has grown to include 13 colors of Sarah’s zinnias, rows of flower bulbs planted in large bins, plus beets, lettuce, garlic, onions, arugula and radishes. 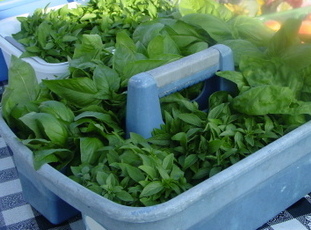 Renee tells me that all the winter crops (broccoli, cucumbers, lettuce, arugula, etc.) are all started from seed. In the greenhouse, she shows me how to plant a flat of vegetable seeds with loving care. She remarks that Ridgeview Farms is not special this way, but that all our local farmers take such care as they guide their food from seed to the consumer’s table. Renee sadly informs me that food raised in this manner is only reaching 1 percent of the population. I feel educated and informed by Renee as we begin winding down. When I ask her what else she would like to tell me, she wants to talk about Joel, who she holds personally responsible for gently pushing her into the modern era. Shonnie Brown is a local author and memoirist who is interested in fostering connections between people and their community. Shonnie writes personal and family histories through her business, Sonoma LifeStories, and is also a licensed Marriage and Family Therapist. She can be reached by e-mail at shonnie@sonic.net or on the web at www.sonomalifestories.com. After reading Shonnie Brown’s article about Joel and Renee Kiff I just have to comment on what Joel Kiff means to me. We moved to Healdsburg in September of 2006. I was helping out with the HFM annual pumpkin race when someone called my name. I turn to see an older gentleman who I didn’t recognize staring at me. I took a closer look and then said “Mr. Kiff?” He gave me a broad smile as I was coming out of my initial shock. It was not only fifty years since I had seen him how could he not only remember me but also recognize me after having taught hundreds, if not thousands, of students. Joel Kiff was my algebra teacher and football/track coach at Marin Catholic High school from 1962 to 1965. I am the oldest boy in what was a very dysfunctional family of ten kids. Back then ADD was treated with corporal punishment and I became chubby using food to compensate for my lack of proper family support. I couldn’t even make the freshman basketball team I was so fat. My grades were terrible and I was in danger of becoming one of the 36 boys in my class that either left the school or were kicked out. Most teachers didn’t have the time or inclination to work with marginal students. I remember Joel as one of the few teachers I had who would put in extra time with a failing student. 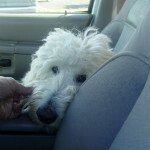 I think it was more his calm demeanor and personal attention that had the biggest impact on me. Under his instruction the light went on and I “got it.” It was such a contrast from my family life and other teachers at the school. Back in those days Catholic school football teams were hardly the juggernauts that they are today. We had 300 boys compared to the public school’s 1000. We consistently got trounced by the much bigger public schools. I remember Joel telling us that life isn’t necessarily about winning it’s about trying and the sheer joy of overcoming the odds against you. It made the game so much more fun for us even in losing. But you know what, we started winning a few games and it’s something I’ll never forget. He talked to us about physical conditioning and how it was more than just getting in shape to play sports. He explained that good physical conditioning was important for a good life and that being in shape helps with the concentration you need to get good grades. To this day I can’t be sure that Joel’s attention, insights and kindness to me are what allowed me to go on and play for a USAF command basketball team or get a business degree from SSU but I think it was. Joel and Renee have meant a lot to our Healdsburg community. Joel is in failing health now so whenever I see him I try to think of the high school experiences that we shared as student – teacher/coach and reminisce. If you know Joel you might want to send him a card. Thanks, Joel. This is what you mean to me. Michael Haran is a Healdsburg resident. 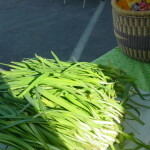 The market will be filled with the Irish spirit on Saturday. Dominique is making green macaroons and Crumb Hither has wonderful Irish soda bread. 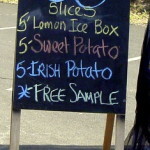 The Green Grocer has corned beef and cabbage on the menu. Peter Bailey, wonderful jewelry designs — some with a decidedly Irish bent. 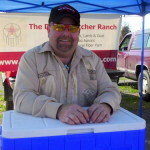 Patricia Greer from Waterhorse Ridge has great whiskey jams and every where there are the fresh, tender greens of Spring. Plenty of potatoes too! Min-Hee says of her sweet Korean spinach, “In case you didn’t know, this is an heirloom variety I brought from The Republic of South Korea many years ago. 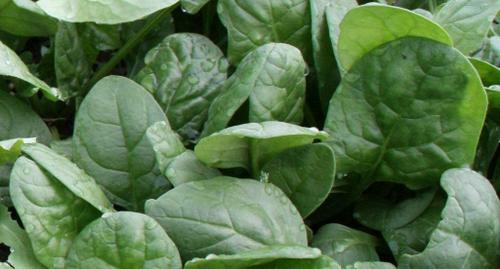 It has a wonderful flavor and none of the strong stick-to-the-teeth characteristics of your typical domestic spinach varieties. As we say in Korean, it is Mashta (Delicious)! Wednesday market news – Vendor List: Ridgeview Farm is back! 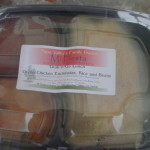 Not only is Mi Fiesta back this week, but also Ridgeview Farm. Spring IS here. 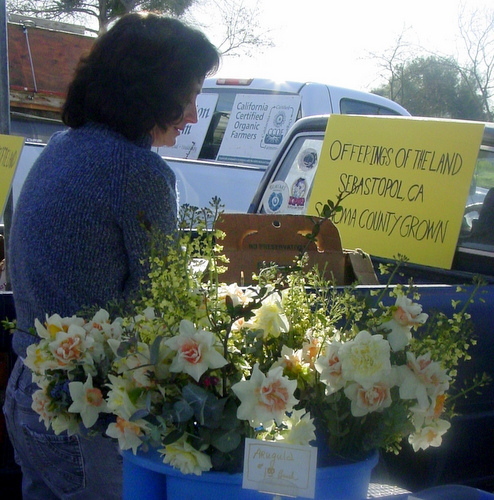 Ridgeview welcomes Spring with beautiful radishes, lettuces and maybe some bouquets. The knife sharpener will be here too. 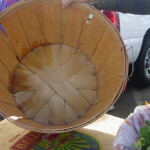 Get your gardening tools shapened up! If the warm weather has made you a little bit overly ambitious check out the Comfort Zone for their pillow packs and massage balls.